Do you have a question in relation to this project? If so, please ask us here. I have read the definition of "Public Open Space" and it's not very clear when it come to a fenced synthetic hockey pitch and clubrooms. .. the definition reads it is "land that is freely accessible by community, but these spaces can function as recreational (eg sporting ground, fields)." My question is would a fenced sythetic hockey pitch, clubroom and 60 bay carpark fall inside or outside the definition of Public Open Space? Public open space (POS) is generally described as land set aside for the purpose of public enjoyment and protection of unique, environmental, social and cultural values for existing and future generations. The City can enter into an lease arrangement with a club to allow them exclusive use of an area assigned for open space, as seen by the Cottesloe Golf Club and the Hollywood Bowls Club. The POS Strategy will aim to look into this further and examine how these leases effect the total of open space available to the general public. Thank you for your question. 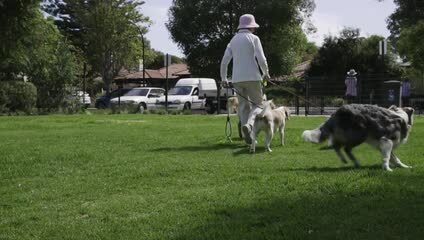 The Rangers have advised that dog owners are required by the Dog Act 1976 to have their animals on a leash whilst walking them in public places. This does not apply in a designated dog exercise area, however the animals must be under control at all times. This is for the safety and wellbeing of the community and ensures that dogs are less likely to be involved in attacks or accidents. The City is required to apply this law equally to all dog owners regardless of their training or behaviour. Rangers regularly speak to dog owners who are not complying with this requirement and will advise them of potential penalties set out in the state law if they are to offend again in future. How many other parks and reserves are earmarked for car parks to profit business owners rather than residents? The Public Open Space Strategy will provide strategic direction and a framework to guide the management of open space within the City of Nedlands. It looks at the City’s Public Open Space holistically and the needs and wants of the community in relation to Public Open Space. The POS Strategy will sit alongside the City’s Local Planning Strategy and may influence future Scheme Amendments or Local Planning Policies to help the City gain, rationalise, improve and manage open space. The interactive map is not user friendly and I have really struggled to "drop the pin" and then make comments. Can you please check it out to see that it is working properly? Thank you for raising this with us. We are currently doing another check.